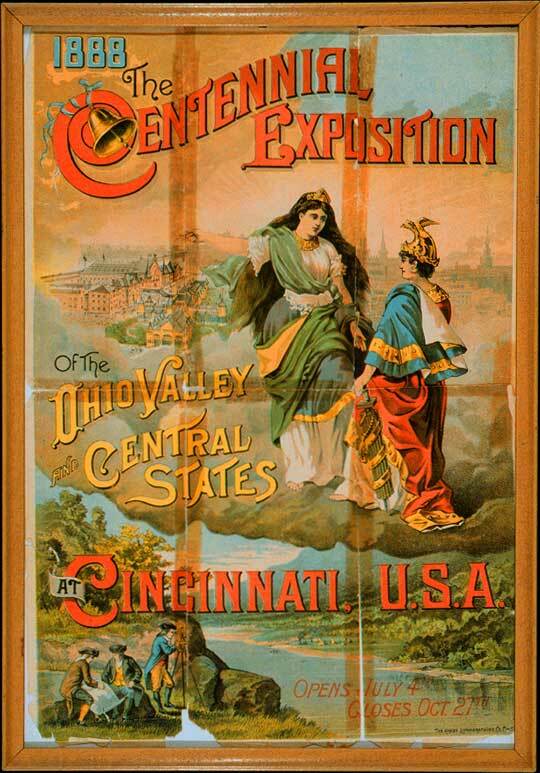 1888 / The / Centennial / Exposition / of the / Ohio Valley / and Central / States / at Cincinnati U.S.A. / Opens July 4th / Closes Oct. 27th. Lithograph. 1888. Frame Opening: 17.25 x 11.75 in (43.8 x 29.8 cm). Cincinnati: Krebs Lithographing Co. Rare Books and Special Collections Department.